If you own a business, you know that it is really important for your business to get exposure. You can have a great produce or service. However, if no one knows about you, you will not make any money. You probably have a website already. You need to go one step further and promote your business on social media. Here are some social media marketing tips that you can use. First, make sure that you have established business accounts in the popular social media platforms like Facebook, Twitter, LinkedIn, Pinterest, and others. Use the same identity in setting up these accounts so people will get familiar with your name on the various platforms. On your website, you should have the icons to these social media platforms prominently displayed on every web page, preferably near the navigation. This way, your site visitors can easily click to your social media account and follow you there. When reaching out to your audience in social media, post a brief introduction on what your company is about. Facebook is perfect for this. Make the post personal and friendly. It should be conversational because you want to encourage your audience to post comments and feedback. Offer promotions and incentive to people who follow you on social media. Link this to your email marketing campaigns. You can even reinforce it with print media. Post your social media urls wherever you can. These are just some of the more helpful social media marketing tips that can get you started. 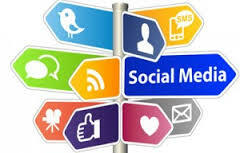 Social media is a vital part of your overall marketing strategy. So, whenever you come across helpful social media marketing tips, do read them and try to learn from them. Join forum of marketers to gain insight and perspective on other social media marketing approaches. The name of the game is networking. If you can do it well, you will lead in the industry.